Wards Way of Teaching: Leprechaun Traps! 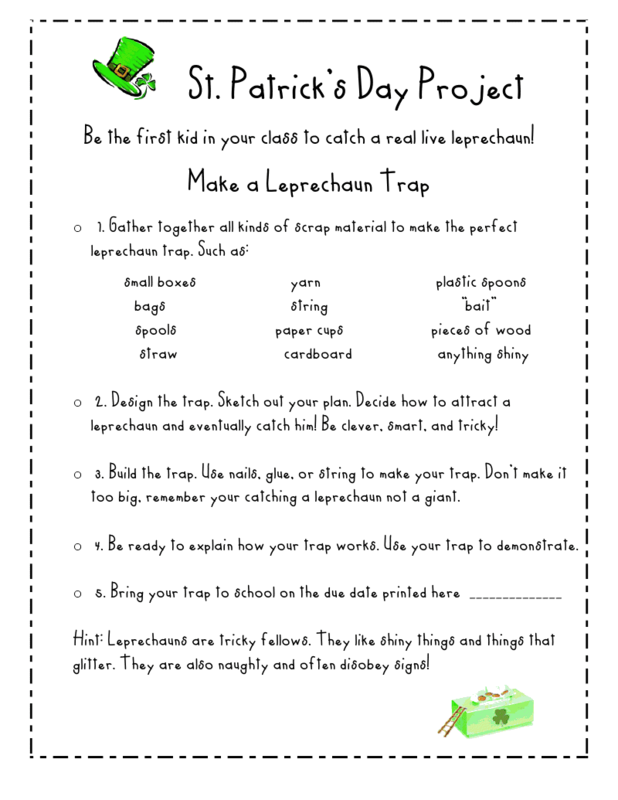 One of my favorite things about the month of march is having my students make leprechaun traps. On March 1st I send home the ws below. This idea came to me from my mentor teacher from student teaching. It was so exciting to hear how the kids were working on their trap and spending time with parents, siblings, or friends to create it! The night before St. Patricks Day I have the students "set" their traps before they leave for the day. 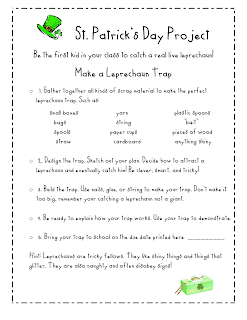 Then I "mess" up the classroom because leprechauns are naughty and like to misbehave. The Leprechaun leaves them a note in the classroom with a golden coin (chocolate candy purchased from Winco bulk section). It makes for a very exciting day! Click HERE to print your very own ws for your students. Here are a few pictures of some traps my students last year made. They are so fun and cute!!! First of all, my kids are LOVING this project. Second, I went to Winco today and they didn't have the gold coins in their bulk section yet. Hopefully next weekend they will. Are you a Winco Saturday shopper? We should meet up there. Or just somewhere in town since Winco on Saturday is insane and that short meeting wasn't enough time to catch up.